On Friday last week, we were delighted to welcome renowned violist Atar Arad to Purcell. He gave a masterclass, working with our viola players and chamber groups, and then performed a fantastic recital of his own Caprices. Arad has performed in around the world as a featured soloist with orchestras and as a member of the Cleveland Quartet from 1980 to 1987. 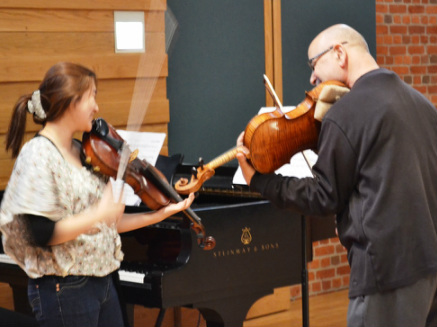 He teaches at Indiana University’s Jacobs School of Music in Bloomington, Previously he was Professor of Viola at the Eastman School of Music in Rochester, New York.